Our goal with our grounds is to blend together the past, present and future. We honor the wilderness and respect the beautiful gardens that were developed on this property approximately 50 years ago. We also do our best to preserve the species that are struggling for their future. Balance is the key. Everything is in relationship with everything else. When one thing is strong, everything in relationship with it is strengthened. When one thing suffers, everything in relationship with it suffers. The grounds at Spirit Space are home to pollinators, butterflies, birds, mammals, frogs, salamanders and more. We are very conscious of their need for both tender plants and mature trees. 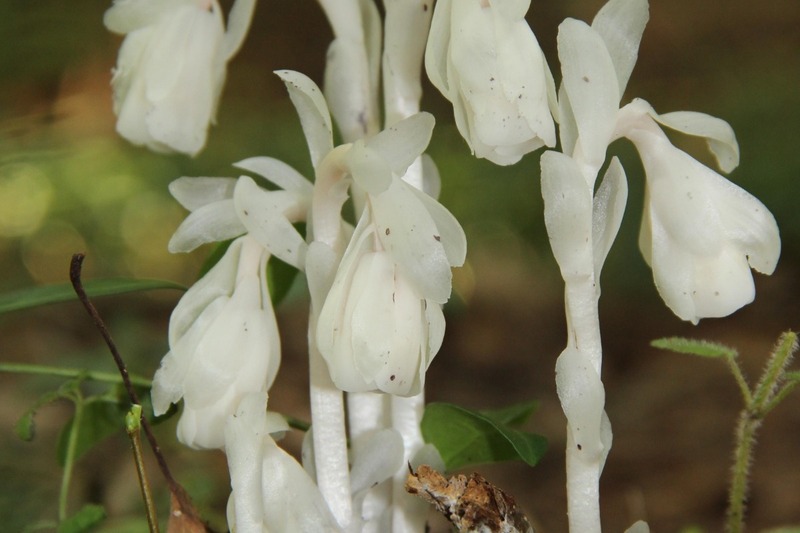 We have beautiful Indian Pipes and we have found arrowheads on the property. Our practices of caring for the grounds include both wild and domestic plantings. We use organic fertilizers, and, in the fall, we save our leaves to make our own mulch and compost. We have well over 120 different plant species on the property and over 50 are native to the land. Education is ongoing as we share the identification of specimen plants, including those which have been used in the wellness of humans. We are raising funds for the expansion of our woodland gardening program. We host tours for adults and children.